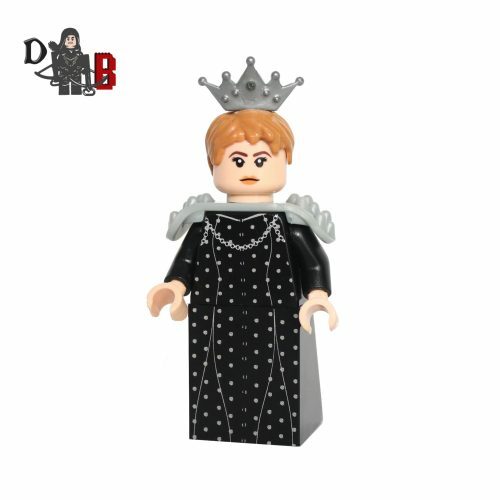 This custom designed Minifigure is based upon Daenerys Targaryen from the popular Game of Thrones Series. 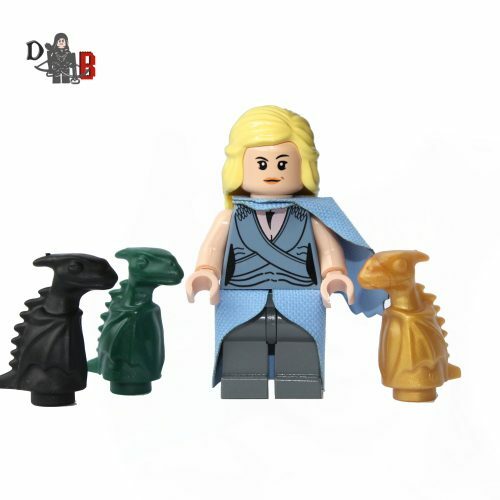 Includes Daenerys’s shoulder cape, dress and three baby dragons. The torso is professionally machine printed using my own design. 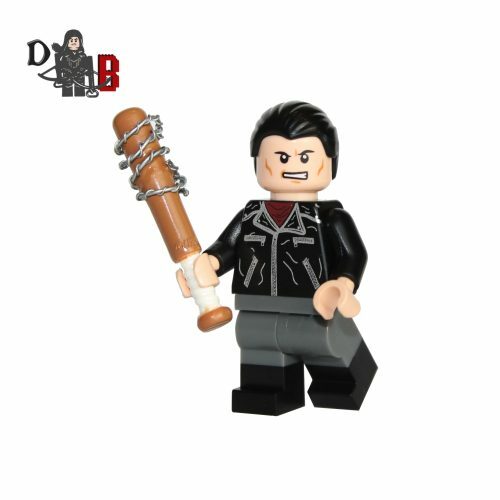 This custom designed Minifigure is based upon Negan from the popular Walking Dead Series. The chest has been machine printed using my own design. 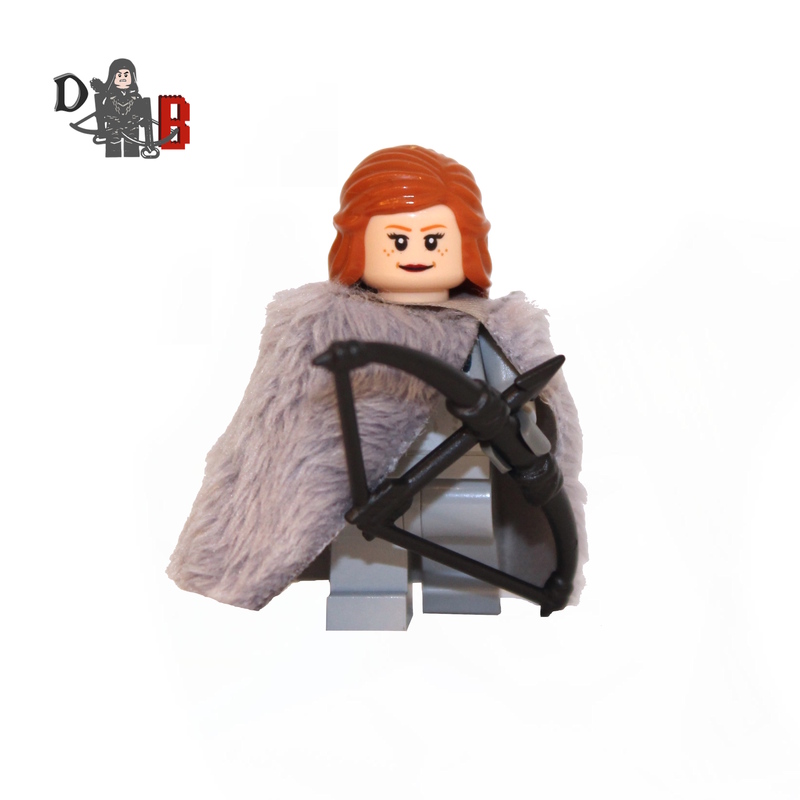 Made using genuine LEGO parts except for the barb wire on Lucille which is professionally custom made. 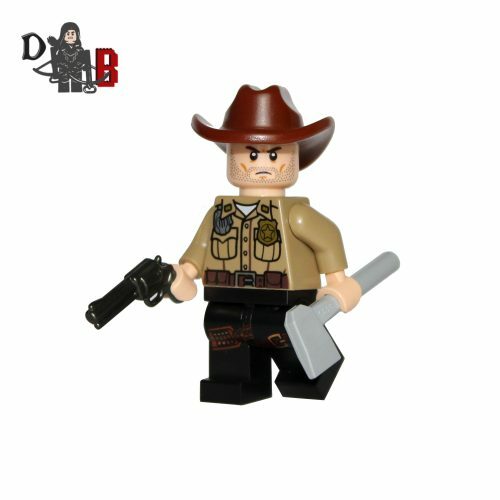 This custom designed Minifigure is based upon Rick Grimes from the popular Walking Dead Series. Includes Rick’s six shooter, hatchet and cowboy hat. 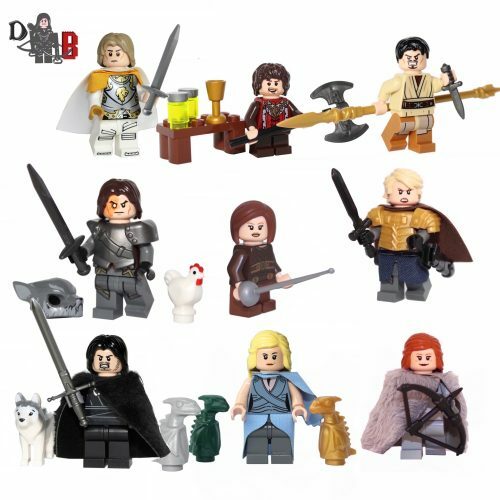 Stark Soldiers/Jon Snow Guards Minifigure pack made using LEGO parts. 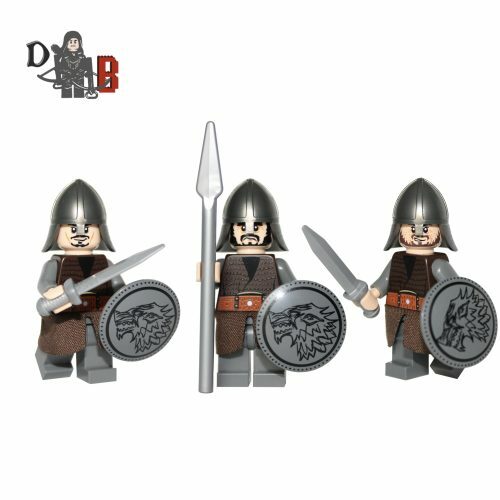 These custom designed Minifigures are based upon Stark Soldiers/Jon Snow’s Guards from the popular Game of Thrones Series. 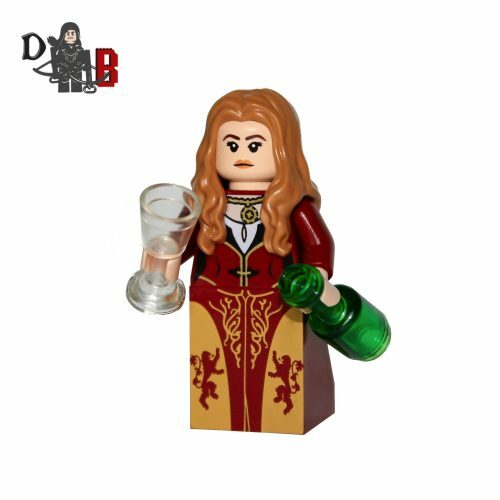 Includes Stark shields professionally machine printed using my own design. 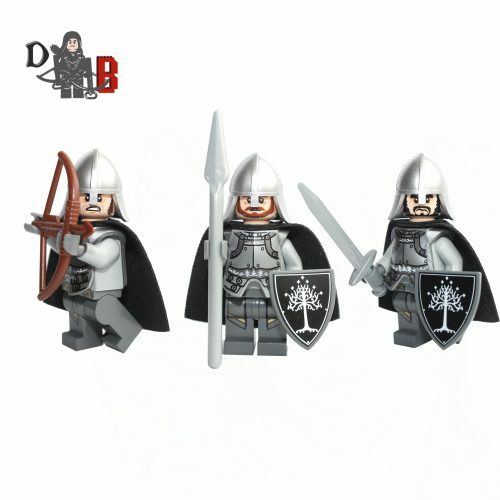 Made using genuine LEGO parts except for the waist capes which are professionally custom made. 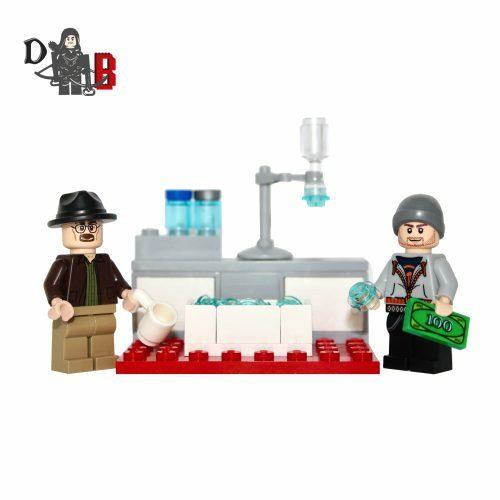 These custom designed Minifigure’s are based upon Walter White and Jesse Pinkman from the popular Breaking Bad Series. 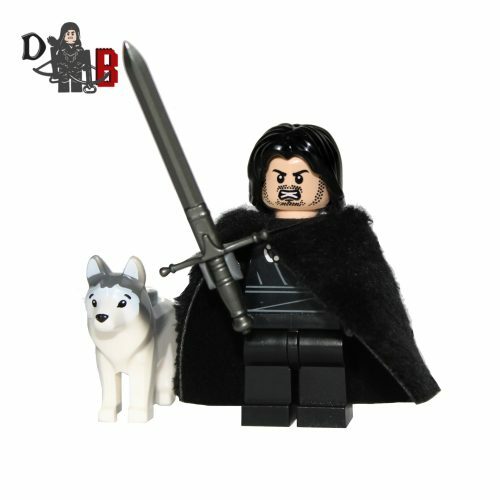 Features custom printed Walter head, custom made pistol and mini lab. 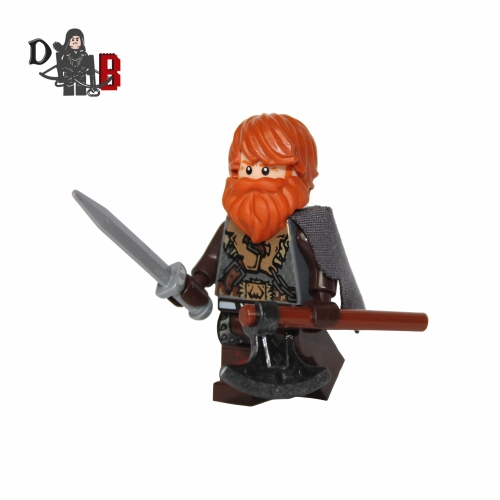 Made using genuine LEGO parts except for the pistol which is professionally custom made. The lab will be partially prebuilt.